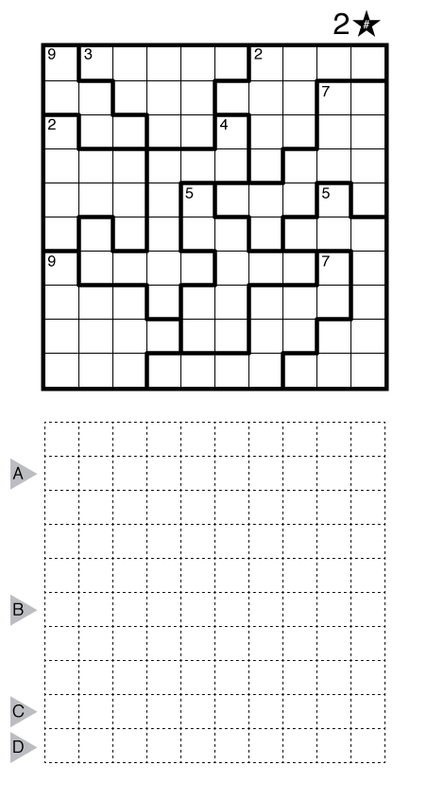 Author/Opus: This is the 80th puzzle from our contributing puzzlemaster Murat Can Tonta. Rules: Standard Star Battle rules with two stars per row, column, and region. Also, some region boundaries are missing, but all given borders must separate cells in different regions. 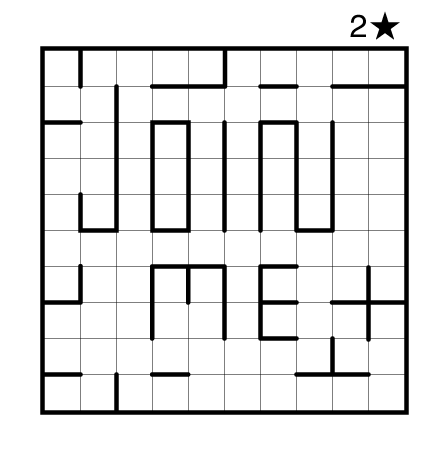 Author/Opus: This is the 24th puzzle from our contributing puzzlemaster Carl Worth. Rules: Combination of Battleships and Star Battle. Follow standard Battleships rules. Also, exactly one ship segment is present in each bold region. Note: Follow this link for classic Star Battles and this link for classic Battleships. 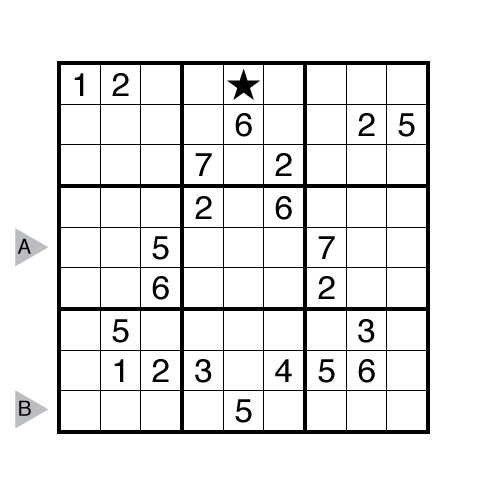 Author/Opus: This is the 6th puzzle from guest contributor Roger Barkan. Rules: Combination of Star Battle and Cave. Place digits into two cells in every row, column, and region of the left grid (one cell in the example). Digits cannot touch, not even diagonally. The numbers in the upper-left of each region indicate the identity of the digit to be entered in that region. 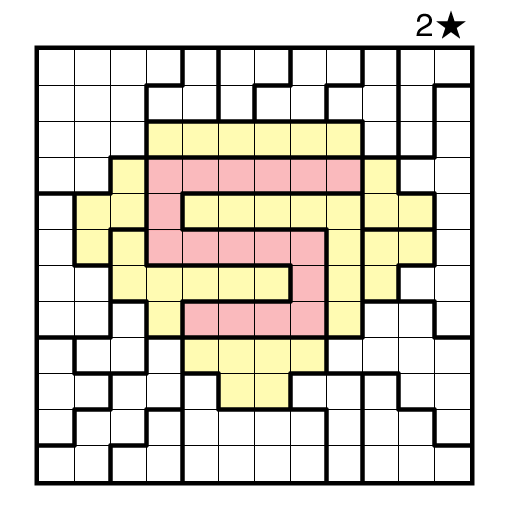 The digits must form a valid cave puzzle (which can be solved on the bottom grid). 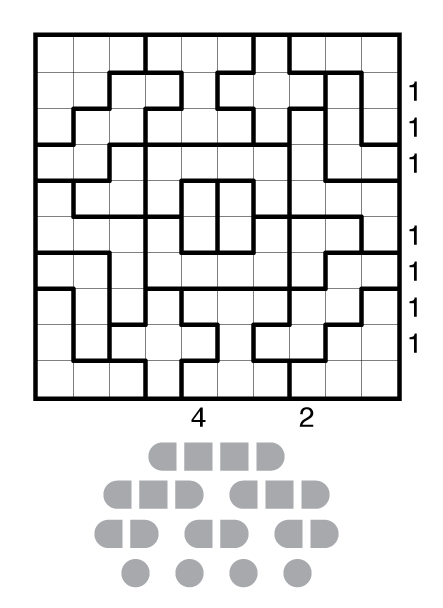 Author/Opus: This is the 219th puzzle from our contributing puzzlemaster Grant Fikes. Rules: Combination of Pentominous and Star Battle. 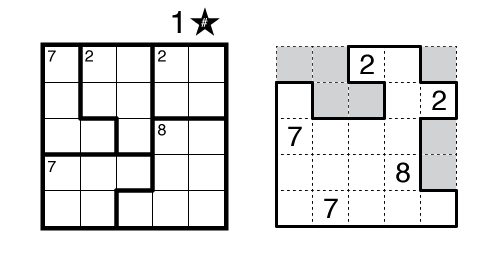 Place stars into some cells so that there are two stars in each row and column; no two stars can touch, even diagonally. Then divide the rest of the grid into 16 regions each containing 5 cells. Regions with the same shape (including rotations/reflections) cannot share an edge. 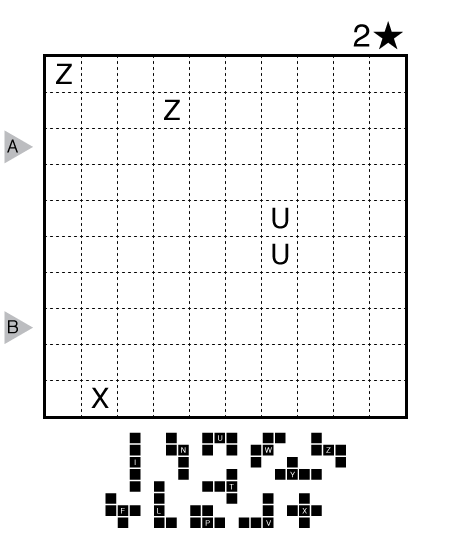 A cell with a letter in it must be part of the pentomino shape normally associated with that letter; an inventory of pentominoes is given below the puzzle. 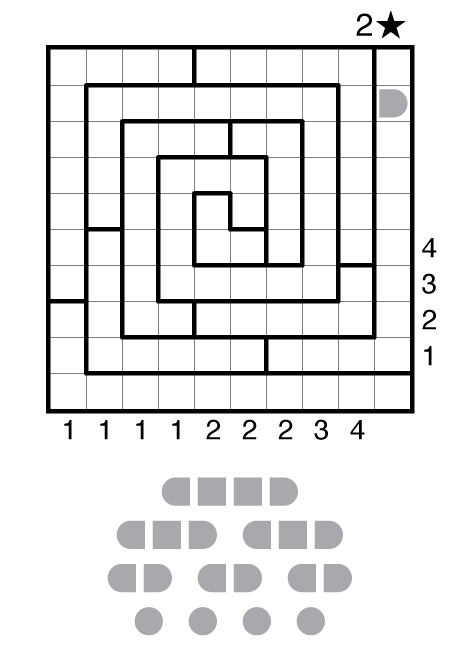 Author/Opus: This is the 109th puzzle from our contributing puzzlemaster Serkan Yürekli. Rules: Variation of Star Battle rules. There are two stars per row and column, but only one star per region. Note: Follow this link for other variations on Star Battle and this link for classic Star Battles. If you are new to this puzzle type, here are our easiest Star Battles to get started on.